Most of us who went through puberty remember our teen years as a struggle to belong. A number of movies have documented this teen angst. In the process we discovered who we were by finding out who we were not. By some process that seemed cruel and opaque at the time we found ourselves excluded from groups in which we craved inclusion. Eventually, we found some group that seemed satisfied with us provided that we were loyal members and played by its rules. The rules, of course, were unwritten, and we often found out what they were only by breaking them. Most of the time we were excluded due to some combination of factors over which we had no control; where we lived, who our parents were, what religion they belonged to, our skin color, our intelligence, our athletic ability, our parents’ income, even who our distant ancestors were, made a difference. Some kids, though, seemed to have no difficulty. They just seemed to always have the right clothes, know the right people, live on the right side of town, make good grades, and be in the right places at the right times. I so wanted to be one of them. Perhaps you did too. They went to the prom. You didn’t. Or, you went with someone you didn’t want to be seen with. They went to the lake house in the summer. You worked at some below minimum wage job. They started school wearing the trendiest clothes. You wore clothes that were in style last year, that you saved all summer to buy working at your job selling sandwiches or sacking groceries. So, you grew up, went to work doing whatever you were equipped to do, provided that there was a market for your skill, or lack of it. For some of you, there was satisfaction in the work you did. You worked at the library and got to read in your spare time. You entered a trade and found that you really liked wiring houses. You entered a profession that didn’t care who your parents were or which side of town you grew up on as long as you made the grade. Others went to work at the mill, or the plant, married the girl next door, had a couple of kids, and had a life on the weekends at the Elks club, or singing in the church choir, or some other activity that was within your means. You might have been protestant and of Scots Irish descent, or Greek and Greek orthodox, but you had a group. And then the model changed, but the beliefs didn’t. You lost your job at the mill because the mill closed. Suddenly, you couldn’t make the mortgage payment on your three bedroom tract home, or pay your dues at the Club, and your wife’s or husband’s income wasn’t enough by itself. All of your life you had been taught a sort of religion that incorporated God, democracy and capitalism as the Holy Trinity. Although you may have been Christian and taught the teachings of Christ, you learned that the real rules of conduct were older, meaner, and more punitive. “Do unto others as you would have them do to you” was replaced by “Caveat Emptor.” If you were a white fundamentalist Christian you learned at the Hallelujah Primitive Church that Jesus was white, that anyone who did not believe and practice as those of your denomination – which was not a denomination but the real church – was doomed to perdition and to be converted or shunned. You were taught that God showed his pleasure by making the faithful successful. Forget teachings like, “It is easier for a camel to go through the eye of a needle than a rich man to enter heaven.” The doctrine at most religious institutions was a religion of exclusion. Jews were the chosen people. Catholics were the only Christians. Catholics and Lutherans were “creed” churches. Muslims dressed funny. So, when the mill closed, your group closed ranks. Who was responsible? It had to be those other people. It couldn’t be capitalists or capitalism. After all, capitalism was part of the Holy Trinity. Anyone who wasn’t a capitalist was a godless communist. You imagined that the plant closed because of all of those Mexicans. Forget the fact that none of the Mexicans across town worked at the plant. The company didn’t build another plant across town and hire the Mexicans. But it had to be the Mexicans, because they didn’t “talk American”, and they were Catholic, and the Mexicans were still working. Yes, that was true. They were doing the jobs that you wouldn’t do, for money you couldn’t pay the mortgage with. But, still, they were all illegal aliens, you said. Forget the fact that there were 56.6 million Hispanics in the U.S. as of July 15, 2015, and even the wildest estimates of the number of illegal (undocumented) Hispanic immigrants in the U.S. are only half of that population. The Government estimate of 11 million places undocumented aliens at about 1/5th of the Hispanic population. 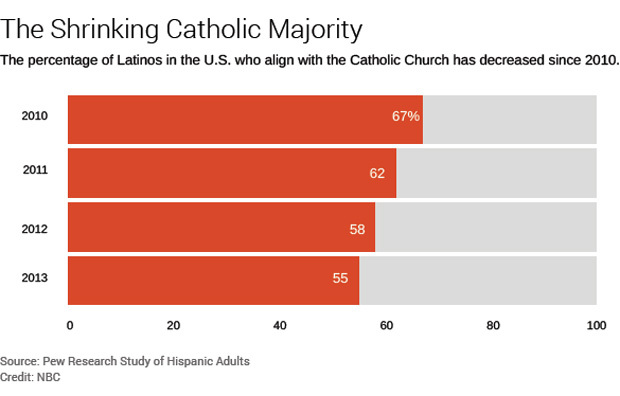 Forget, also, that only a little over half of Latinos in the U.S. now identify as Roman Catholic. Twenty-two percent are “born again” protestant Christians, and eighteen percent are “unaffiliated”. Examination of any other group would, I’m sure, reveal the same degree of variation. The variation makes it hard to know how to define the group. Should Arab Americans be classified as Muslims, and if so, as being further separated into Shia or Sunni? What about the Arab Americans that are Coptic Christians? Should Muslims be divided as to Arab or non-Arab? Should Indian Americans be classified as Hindu or Sikh or Jain? Should Jews be divided as “cultural” or “religious” and further divided into Orthodox, Ultra-orthodox, Reformed, or Hasidim? The differences it turns out, only matter to the members of the group because others just see them as “other”; for some “other” is enough, and “other” is synonymous with dangerous. Most of us revert, even those of us who are educated, back to a sort of teenage tribalism as a default. It is how we evolved as humans. When confronted with someone really different we are cautious, reserved. For some, there is the need to find out who these strangers are. For others it is enough to know they are different. The ones who are curious may find that the strangers are not all that different, and their group of "acceptable" grows. For others that knowledge is never gained. We are experiencing a seismic shift now in our society because the group that has been the majority since their invasion of America is now about to become a minority. By 2060 over half of the U.S. population is predicted to be Latino. Mexico once included Texas, New Mexico, Arizona, California, Colorado, and Nevada. The outcome of the Mexican-American war changed the border, but the Chicano remained. Every means possible was used by White America to marginalize that group. In the early part of the 20th century tourists sent postcards back home with a Mexican man sleeping under a cactus shaded by a sombrero portraying Mexicans as lazy. Anyone who believes that and has watched Latinos working in construction gangs, as hotel maids, as busboys, or as gardeners must have severe cognitive dissonance. I have used Hispanics as an example of “otherness” because it is the "other" group with which I’m most familiar. Actually, that’s not true. I’m most familiar with African Americans, but I’ve never had a close friend who was black. There are Hispanic families in our neighborhood. We don’t live in a gated community and live in the county so we have homes of all types in the area. With the exception of the Esposito family – who live in a modest brick home down the street – the rest live in manufactured homes or in an old trailer-court. They all speak Spanish as a first language, and some only speak Spanish. One family I know through a friend who used to teach Spanish in the high school. David has worked as an interpreter for a number of the Hispanic families when they tried to buy homes or needed a lawyer. He helped some of the Dream Kids stay in the U.S. I don’t know the name of the family I met. I got into a blackberry bush, and because I was taking a blood thinner at the time my arm was bloodied and continued to bleed as David and I walked in the neighborhood. David took me to an old trailer in the park, and knocked. The man who came to the door did not speak English. David asked him for a paper towel which he brought to help stem the bleeding. The two men talked for a few minutes and we continued our walk. As it turned out, the couple in the trailer came to the U.S. speaking only an Indian language from southern Mexico. The wife still only speaks that language. She never leaves the home. The man learned Spanish and has always worked in the company of other Spanish speakers. They have children who speak English, Spanish and the parents’ native language. Their kids were honor students. I don’t walk in that neighborhood anymore because of the dogs that run loose, most of which are pit bull mixes, some of which are owned by white residents who fly a confederate flag as large as their house and who have a “no trespassing” sign at the entry to the long drive to their shack. The modular homes are owned by the residents who have worked very hard improving their houses. Nice folks, one of whom is a native white woman. They speak Spanish among themselves. There are a couple of trailers located near the creek whose owners work in construction. The men speak English as well as Spanish. They keep to themselves. I don’t know what their legal status is, or care. Why am I not suspicious of these folks? When Lynn and I were young and lived in Phoenix Lynn worked in a retail store in the mall. She became good friends with Mary Jean who was a self-described Chicana; a woman of Mexican descent who was born in the U.S. By her account her family had been in Arizona when the border was redrawn. Her husband, Sonny, and I became friends. He was a very traditional guy who complained about his wife being a “paper Mexican.” She was. She was ambitious, industrious, and regarded the fact that she started school speaking only Spanish as a huge hindrance. So, their kids grew up speaking English. I thought that was a disservice to them because I think being bilingual is a bonus. But it was their choice to make. We went to Cinco de Mayo parties at the Catholic Church with them, helped with work parties like tamale smears, drank too much Sangria at times, and left Arizona regretting the loss of their close friendship. We kept up for a few years. They moved back to their hometown and opened a restaurant. It was sort of last ditch effort to find common ground. They ultimately split up, and we lost touch. The experience made me know that they were “just folks” with the same problems everyone else has. Other white Americans have never bothered to get to know people who are not like them. I don’t know why. 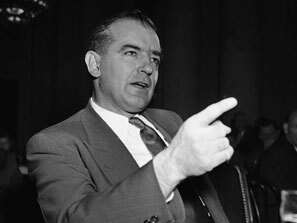 It’s just the way they are, but it leaves them fearful of others, suspicious of their motives, convinced that the other group is getting unfair government benefits; anything to keep from believing that they should not be privileged just because of their race, religion, or native language; anything to maintain their belief in the trinity of religion, democracy and capitalism. I like your idea of a trinity....sounds about right. I am disgusted with liberals who are still pouting about losing Bernie as if that was ever an option. Socialism is a very bad word in America even if you put Democratic in front of it. Im glad to hear FM say it is going to change. It might be ok unless Trump gets in. I am just so mad this afternoon at the hillary haters who are jeopardizing this election. I see that holy trinity as old fashioned. I know Kosh....why are people still moaning about him not being in the running. He made it very clear they should vote for Hillary. She will do a good job. The old ways of seeing a woman as weak are crumbling...the right can't take it after a black guy. I can't take all the lies about her and the painting of her as evil. This reminds me of Obama saying people are clinging to their guns and religion. Change has to come. Obama was a big step and Hillary will be another big step but it is not easy and I am very tense about it all. I think the flavor of the world is changing so fast it is hard to keep up. Im dizzy!!!! Excellent, excellent piece. Outstanding work here. Zanelle, Louis C.K. has an excellent point. The FBI needs to work harder to find the connection between WikiLeaks, Russia, and Trump, and less on Hillary's emails. I'm amazed that people are outraged because the emails reveal her to be a politician doing what politicians do. The trinity, as you put it, is a model of internal conflict and confusion. This explains why so many Americans are so easily misled and exploited..
Trump’s candidacy would not be possible were it not for the erroneous belief held by white Americans that their superior social, political, and economicl posture is somehow rightful and legitimate. The belief that loss of the posture of superiority and privilege is inherently evil and a manifestation of impending doom. Trump’s candidacy has made many white people, whose racism and bigotry were passive, latent, and covert, into overt, active and militant bigots and racists. Make America Great Again is the dog whistle and clarion call for white Americans to rise up and reclaim America. They see themselves as 'taking America back' from people who can't and don't 'possess' i't. These people , Hillary's basket full of deplorables, have been led to believe that Obama is a demon, or the anti-Christ who should be exorcised, and that Hillary Clinton is some sort of spellbindinding witch who should be burned at the stake. That's why the aftermath of the election will be ugly and quite, quite un-American. By telling his faithful that the election is rigged, and by not stating that he will accept and abide by the outcome, Trump is signalling that adherents to the trinity needn't feel bound by the outcome of an election that isn't reflective of what they believe. He's sowing the seeds of discontent, dissatisfaction, discord, dissent, disobedience, disloyalty, disregard and disrespect. All of this negativity could bottle neck in the triinity of god, country, and capitalism with dire consequences if efforts aren't made to reassure the Trump people that they have nothing to fear. Ron, your last statement raises a conundrum. How do you reassure those white voters who feel disenfranchised? I'm related to some of the "haters". They won't be easily persuaded that a giant conspiracy was not at work. I listened to Steve Schmidt today, one of my favorite conservatives. He draws a sharp line between the Tea Party - who he sees as a reaction to George W. Bush's spending and debt - and the alt-right - who he sees as the racist, misogynistic, Islamophobic wing of the party. 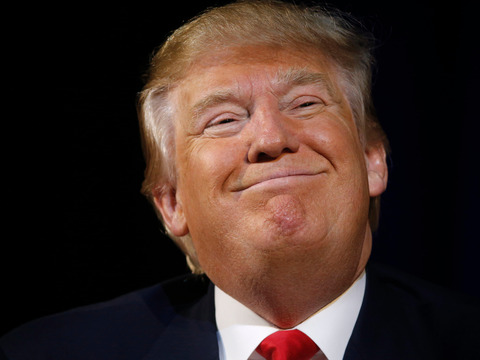 He feels that, despite the actions of the FBI lately, which may prevent a loss of the Senate to Dems, Hillary will win and it will then be time for the Republican to really do a postmortem on the election and excise the alt-right from its ranks. We'll see. The Tea Party types that I know don't seem to draw a line. Schmidt thinks that Republicans will blame their own members for not being faithful to the party; that it will be "wrong voters" and not "wrong candidate." He also thinks voters minds are set. All of the campaigning now is just an attempt to get everyone in your camp out to vote. Fortunately, I voted absentee given that I will be off getting cancer treatment on election day.